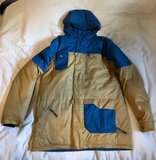 L Orage B Dog Jacket - $60 Shipped. 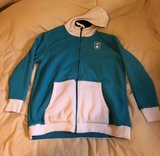 Condition 8.5/10 - Missing cosmetic button on front of jacket and original zipper pull. XL Orage Pants - $50 Shipped. Condition 8/10 - Small rip around shoelace belt, few tears near cuffs. XL Orage Striped Sweater - $30 Shipped. Condition 9/10 - No tears, few years old. 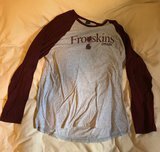 XXL Oakey Frogskin Long Sleeve - $20 shipped. Condition 9.5/10 - Only worn a hand full of times. XXL Oakley Thermal - $20 Shipped. Condition 9.5/10 - Only worn a hand full of times. 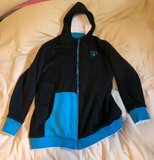 XXL Reversible FD Hoodie - $35 Shipped. Condition 10/10 - Never worn. 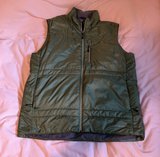 XL Exofficio Vest - $20 Shipped. Condition 8/10 - Small stain on right breast.